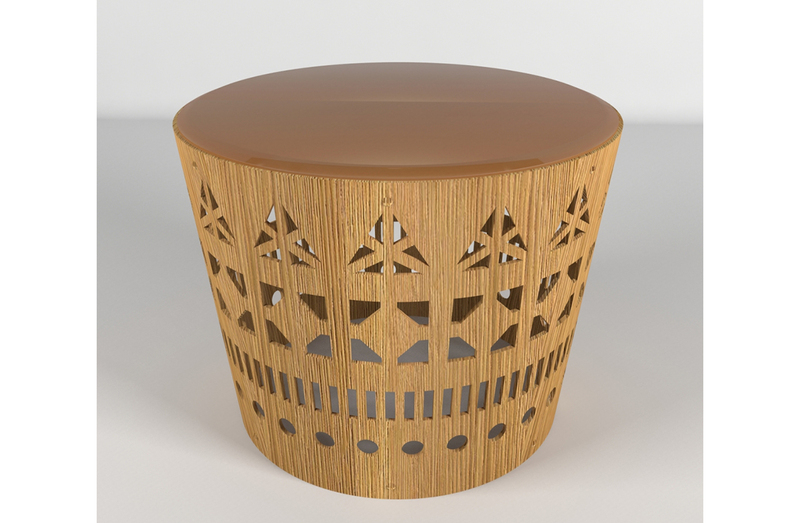 Fretwork wood pedestal base coffee table with top in bronze mirrored beveled glass. Available to order in a choice of two sizes. Finish options: Structure in sand-blasted oak wood in natural, tinted, or open pore lacquer. Top surface in bronze finished mirror.